With an increasing demand for milk powder products, Nestlé have set up a new factory in Osorno, Chile. The new plant, using highly advanced technology, produces milk products with added nutritional value. 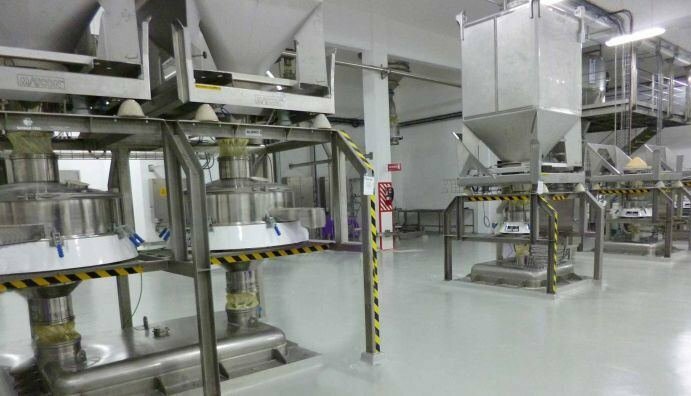 With the requirement of using the most up to date and highest quality sieving machinery, Russell Finex, a long term supplier to Nestlé, provided a built in screening solution for the new plant. Rotary sifters are commonly used for screening powders, however this method can create problems such as mesh breakage and irregular screening. One alternative is to use gravity fed circular vibratory sifters to solve this issue. After thoroughly discussing their requirements with Russell Finex, the Russell Compact Sieve® was recommended being best suited to suit their requirements. Unlike many traditional vibrating screens, the Russell Compact Sieve® provides high performance screening without affecting flow rates and can screen & sieve milk powder at a finer mesh size. The vibro sifter Russell Compact Sieve® provides a contamination free sieving operation and all contact parts are made with high quality stainless steel, which allows easy cleaning in between batches. With less contact parts cleaning is quick without the need for extra tools. Contact us to hear more about the Russell Compact Sieve® range and how it can help you with your unique application requirements. Send an inquiry today. 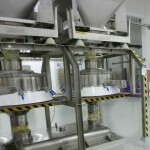 Read the full article about Screening machines for Milk Powder at Nestlé.